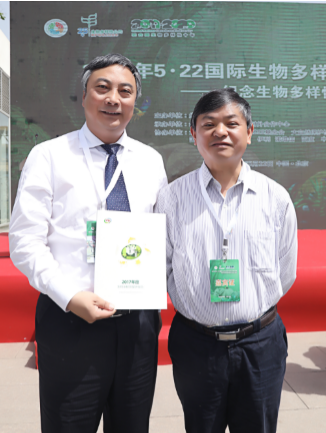 Yili Group, one of the biggest dairy producers in China, shared its experience in biodiversity protection at a theme activity in Beijing, May 22, to mark the 25th International Day for Biological Diversity. 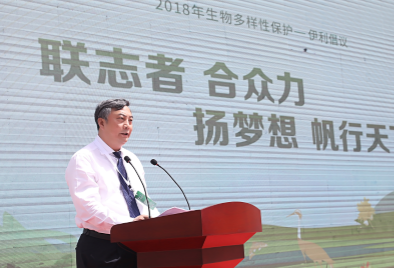 Chen Fuquan, vice-president of Yili, spoke at the activity and called for efforts from all sides to protect biological diversity as living conditions for human beings were deteriorating. The group also released a 2017 Biodiversity Protection Report according to which it invested 180 million yuan ($27.11 million) in environmental protection in 2017. Its energy consumption was cut down by 35,700 tons of standard coal. 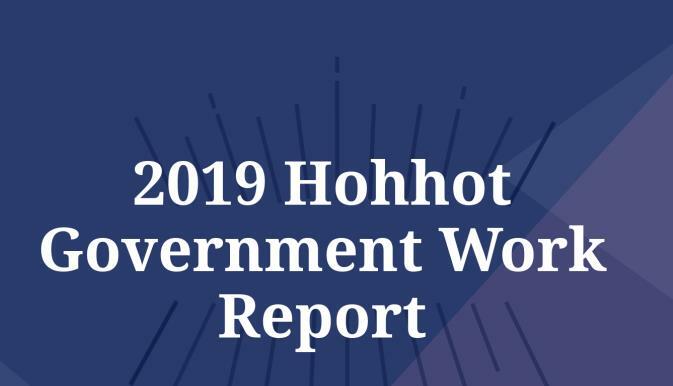 Chen said that this was the group's first annual report on biodiversity protection and these reports would be released regularly to share the group's achievements in biodiversity protection and promote the establishment of a standard system for information sharing. Yili has been engaging in biodiversity protection for more than 10 years. In 2007 at the World Economic Forum, Yili Group President Pan Gang proposed the idea of "green leadership". Since then the group has been committed to establishing a green industry chain to protect biological diversity. To better meet the demands of the Convention on Biological Diversity (CBD), Yili established a sustainable development committee to manage the work on biodiversity protection. Efforts were made in protecting habitats, fighting climate change and utilizing resources in sustainable ways. The group's constant efforts in biodiversity protection have been widely recognized by official organizations at home and abroad. It was honored as the "best Chinese enterprise in practicing sustainable development goals in 2017" by the United Nations Global Compact. The group was the enterprise that had the largest number of activities included in the 2017 annual report of China Biodiversity Partnership Framework released by China's Ministry of Ecology and Environment. Cristiana Pasca Palmer, CBD executive secretary, spoke highly of Yili Group's efforts in biodiversity protection. She said that it was amazing that Yili included biodiversity in its development strategy and the group's green industry chain played a positive role in biodiversity protection. Experts praised Yili as a pioneering enterprise in biodiversity protection. The group also expressed its wish to further carry out its projects in biodiversity protection and to call on more partners to protect ecological environment.